TORONTO, Oct. 12, 2018 (GLOBE NEWSWIRE) — Over 50 actions are expected on Monday, October 15, when communities across Ontario mobilize in defense of new workers’ rights brought in by Bill 148: Fair Workplaces, Better Jobs Act, including the $15 minimum wage that is scheduled for January 1. What stands to be the largest coordinated day of action for Ontario workers in the past decade will target ridings of Conservative MPPs, after Premier Doug Ford revealed the government is considering the full repeal of Bill 148, cancelling Ontario’s decent work laws. Rocco Rossi is the Chief Executive Officer of the Ontario Chamber of Commerce, which has repeatedly called for a full repeal of Bill 148. That same bill brought in modest reforms like 10 days of job-protected emergency leave (the first two days paid), equal pay for equal work, and making it easier to join and keep a union (read more here). 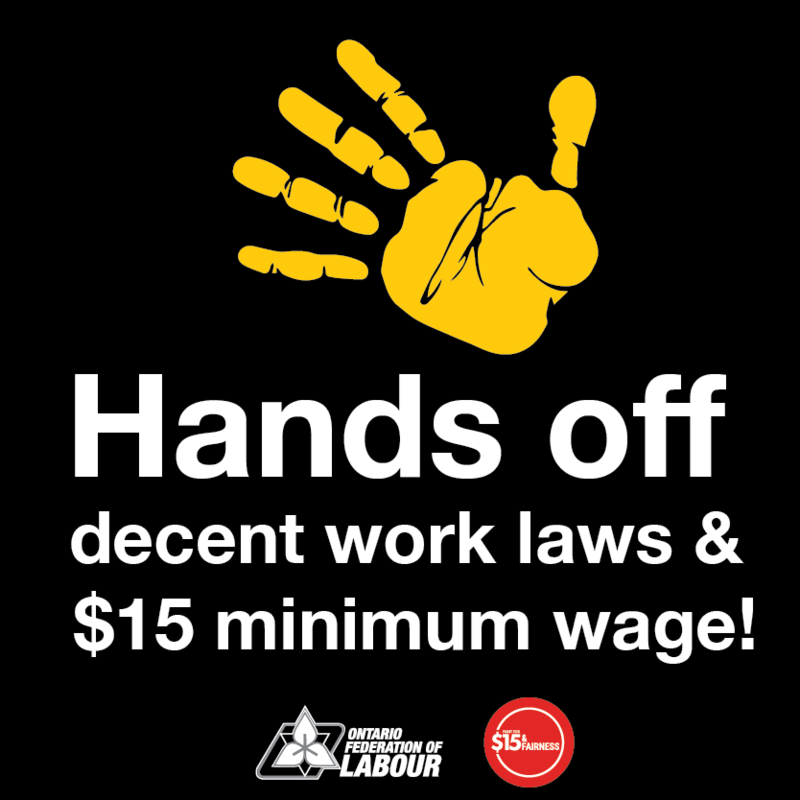 Actions across the province range from public rallies, visits to the offices of Conservative MPPs, workplace actions in support of $15 & Fairness, campus actions at universities and colleges as well as neighbourhood outreach blitzes. The day of action is coordinated by the Fight for $15 and Fairness and the Ontario Federation of Labour as well as community, student, teacher, faculty, faith, health, labour and non-profit associations across the province.